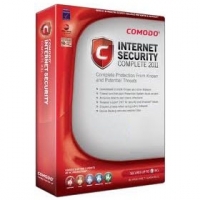 Comodo Firewall and Antivirus is now Comodo Internet Security. Comodo Internet Security is by far one of the best and most popular firewalls and antivirus today, and can be used to successfully protect your computer from viruses, Trojans, or hacker attacks. The latest version has very easy and elegant interface, and uses much less computer resources than its predecessor.